An unique solution for smoking cessation. Is three times more effective than quitting unaided. No need to chew. Sugar free. Great taste, pleasant mouthfeel and no bitter aftertaste. Helps reduce cravings for cigarettes and withdrawal symptoms. Help quit smoking in three months. 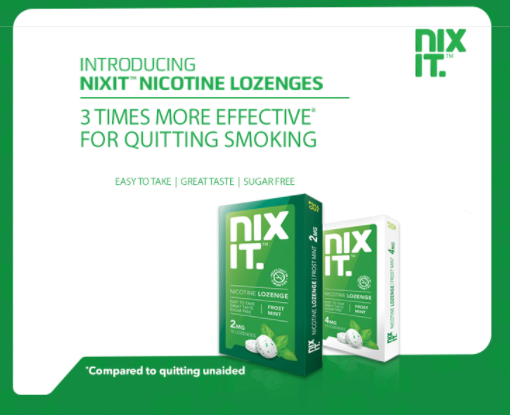 NIXITTM Nicotine Lozenge is a Nicotine Replacement Therapy to help you quit smoking. 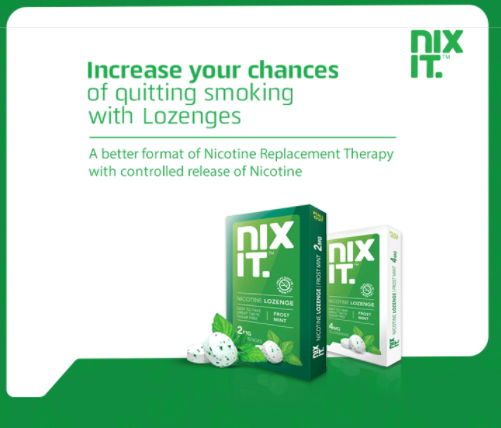 If you smoke post 30 minutes of waking up or smoke less than 20 cigarettes per day, you need NIXIT 2mg lozenges. Place the lozenge in your mouth. Keep rolling it around till it dissolves in 15-20 mins. Please do not chew, bite or swallow the lozenge. Please keep a gap of minimum 1 hour between two lozenges. Please do not use more than one lozenge at a time. Please do not use more than 20 lozenges per day. In the second week reduce the lozenge intake by one per day and so on. For example, if you smoke 10 cigarettes per day, in first week take 10 NIXIT lozenges per day, in second week, 9 lozenges per day, in third week, 8 lozenges per day and so on, till you arrive to 1 lozenge per day for a whole week. In the subsequent week, you may not require any more lozenge …. You have quit successfully. 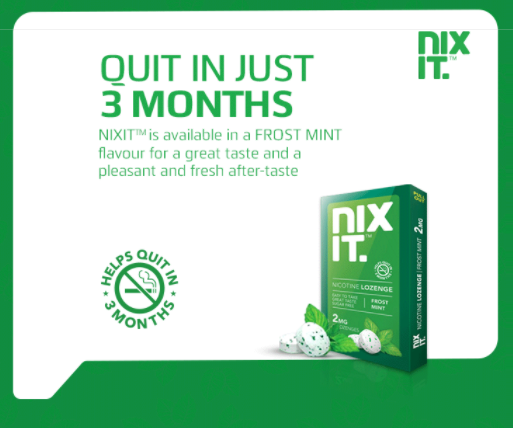 If you still have cravings, you may use NIXIT occasionally. 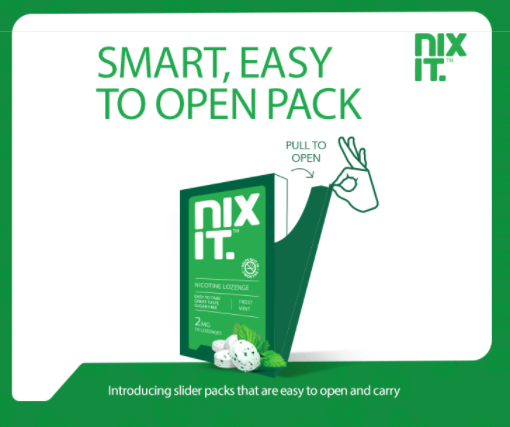 The dosage of NIXIT is steadily reduced over the duration of the course allowing the body to gradually adjust to nicotine independence.